Gone are the days that businesses need to have multi-million dollar marketing budgets to communicate to the masses about their products and services. Businesses can now connect and communicate with customers and prospects directly with popular and free social media sites. Having a presence on top social media sites can be more powerful than advertising on a mainstream highway billboard. By effectively utilizing social media networking sites as a marketing channel, small businesses can almost compete with bigger businesses on an equal playing field. 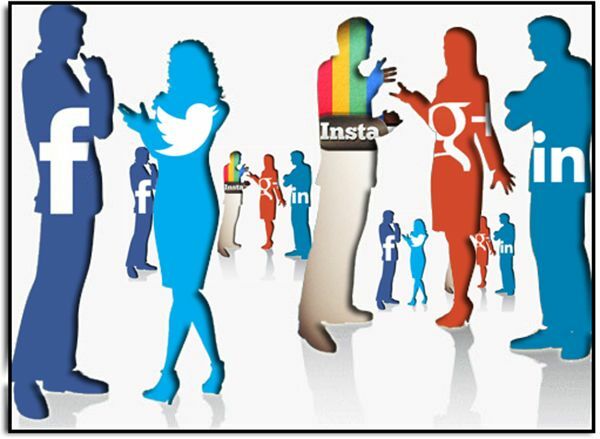 The trick is focusing efforts on the best social media outlets while maintaining a constant flow of engaging content. There are many, many social media networking sites to consider – from professional networking sites to bookmarking sites to self-publishing sites. Each one requires varying levels of investment in time and effort to make them effective. Starting with the top social media sites that will have the biggest impact for small businesses is the best way to jump into these new marketing channels. Facebook. Businesses seeking to connect with consumers and actively engage them need to have a page on Facebook. B2C and B2B pages are becoming very effective marketing tools for businesses of any size. LinkedIn. Expanding your professional network is important to build relationships with vendors, dealers and suppliers. It is even more crucial if your business is B2B. Adding groups specific to your niche will give you a new and powerful marketing channel. Twitter. Sharing the buzz in your industry through Twitter can be an effective way to generate traffic to your website and position your company as an industry thought leader. Google+. The social media site from Google allows you to create networks to share information much like Twitter or Facebook, but with you can also create targeted circles within Google+ to segment messages to different groups of customers, prospects and industry contacts. Blogger or WordPress. Communicating to customers and prospects in a more informal voice through a blog publishing tool such as Blogger or WordPress is a great way to build your brand personality and organic search results. YouTube. Showcase your company, products and services with interactive video segments on YouTube. With well-placed keywords, YouTube videos can build your brand presence and generate meaningful traffic to your website. Flicker or Picassa Web. Photo sharing tools like Flicker or Picassa Web (Google product) are a good way to showcase your products visually, while providing easy plug-in tools for your website photo galleries. Pinterest. Growing in popularity, Pinterest can be a great brand builder and traffic generator for small businesses – particularly businesses with a visually appealing product or service. Businesses can create pinboards for products or services and have “repins” quickly grow viral on Pinterest. These top social media sites are almost mandatory for small businesses that want to get into the social media game. Focusing efforts on the big players in social media will generate the biggest results for your business. However, most businesses should plan to start small – adding one network at a time so that they do not get overwhelmed. Don’t bite off more than you can chew. Make sure that you have the capacity to set-up a social media site and keep it active with a good social media management strategy. Fresh and engaging content is key for these marketing tools to be the most effective. With over 20 years of integrated marketing experience, Diane is author of the award-winning book PR Tools to Toot Your Own Horn. Diane also serves as the marketing director for SureShade, a growing small business that has become the new standard for shade on boats, and runs Marine Marketing Tools, a site that bridges her passion for boating and small business marketing.